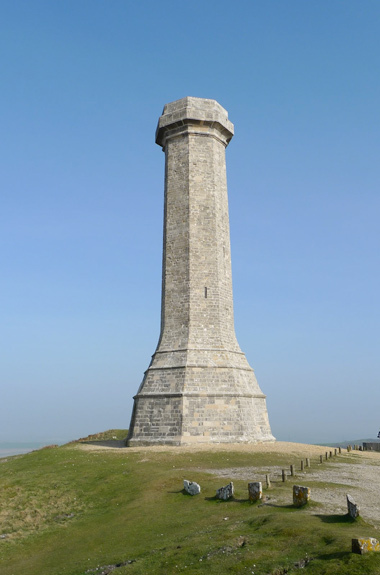 Join The Royal British Legion and abseil down the historic Hardy Monument near Dorchester. The exciting challenge taking place on Sunday 10 June 2018 at The Hardy Monument, thanks to the kind permission of The National Trust, gives participants the chance to take in spectacular 360-degree panoramic views of the Dorset countryside. They will descend 72ft down the iconic structure, while knowing they are raising money for the charity to provide invaluable support to the Armed Forces community, past, present and their families. The Hardy Monument stands on an exposed location above the village of Portesham in Dorset. It was built in 1844 in memory of Vice-Admiral Sir Thomas Masterman Hardy, Flag Captain of HMS Victory at the Battle of Trafalgar. Sharon Wells, regional events manager at The Royal British Legion, said, “The Legion is at the heart of a national network which supports our Armed Forces community through thick and thin, ensuring their unique contribution is never forgotten. One of the many people to benefit from the Legion’s support in recent times is 40-year-old former Royal Marine, Harris ‘Tats’ Tatakis. During a deployment to Afghanistan in 2007, Harris was caught up in an explosion when his Land Rover drove over an Improvised Explosive Device (IED). The blast shattered the then 29-year-old Marine’s left leg, shin and ankle, broke his right foot, ruptured both his ear drums, and caused brain damage. In 2011, he was medically discharged from the forces. This year he became the first veteran in the UK to receive a revolutionary iPod-administered treatment for tinnitus. The treatment, administered at The Tinnitus Clinic in Bristol, was paid for by The Royal British Legion. Today, Harris is still recovering from his injuries but he is determined to spread the word that there is “help out there” for the Armed Forces community. “The Legion has helped to change my life for the better,” said London-born Harris who now lives in the West Country. To take part in the abseil, participants must be aged 8 years or older. All participants under 18 must be accompanied by an adult. No experience is required to take part as all participants will be trained by highly skilled professional abseil instructors, which will ensure the abseil is safe and enjoyable.